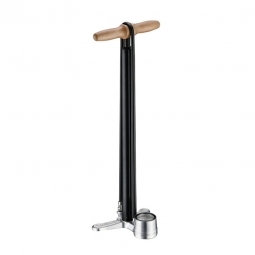 The Lezyne Classic Dirt Floor Drive is a high volume floor pump optimized for use with mountain bike tires. 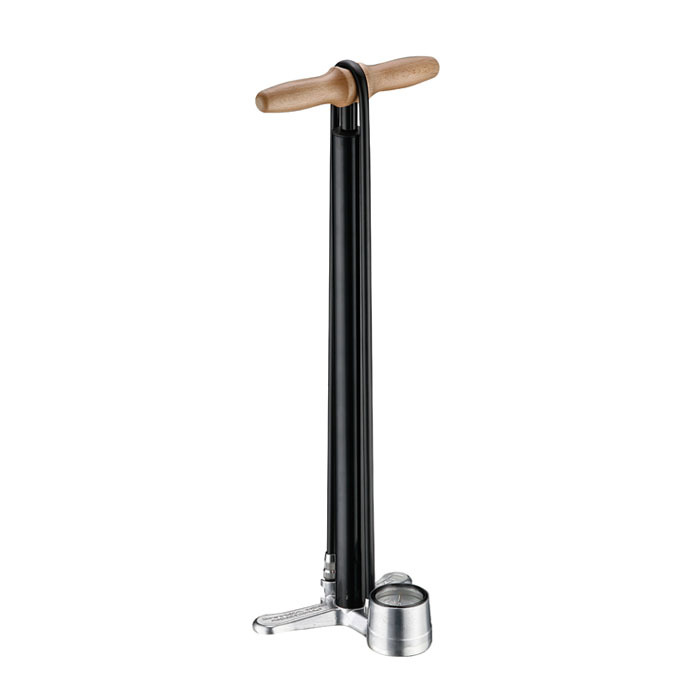 Made with a steel barrel and piston, an aluminum base and an oversized wood handle. The barrel, piston, hose and connectors are oversized to deliver twice the air flow per stroke to quickly fill tires or seat tubeless tire systems. 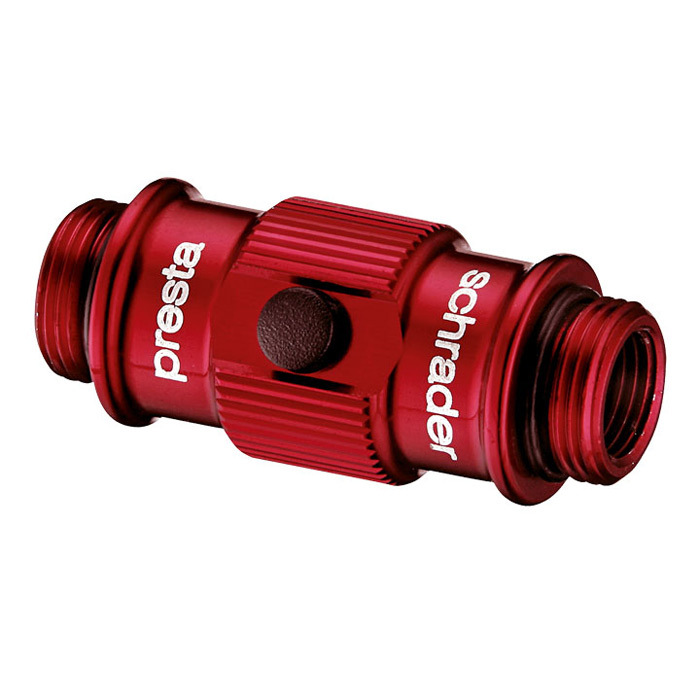 The ABS Flip-Thread Chuck and long rubber hose easily reach both Presta and Schrader valves on a stand. The Speed Chuck is included for fast press-on valve engagement. 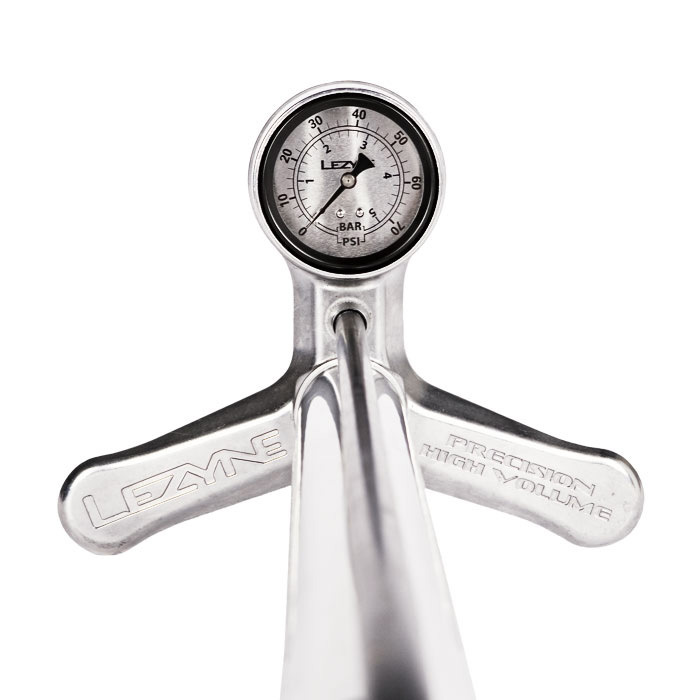 The 2.5” oversized gauge is very precise and easy to read. An anodized high polish finish makes this pump stylish and durable. The barrel is painted for durability and stylish looks.